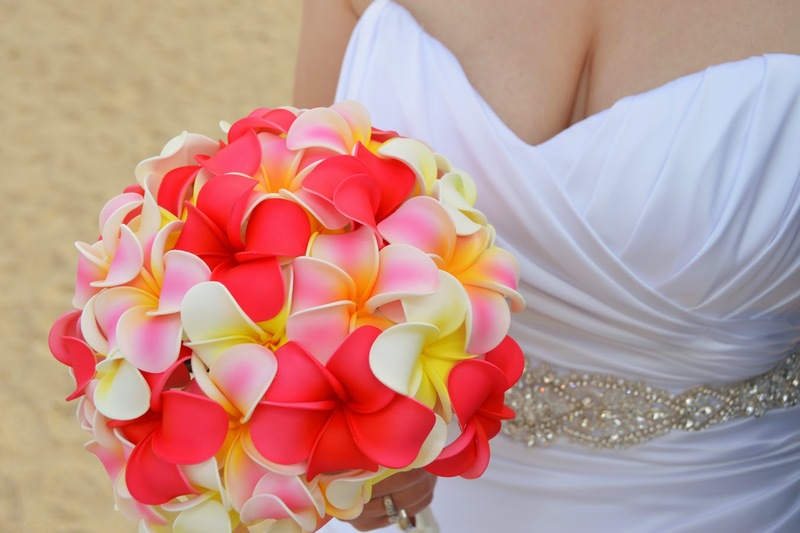 This is the first time we had a request for a silk-flower pink-yellow plumeria bouquet. It's beautiful! 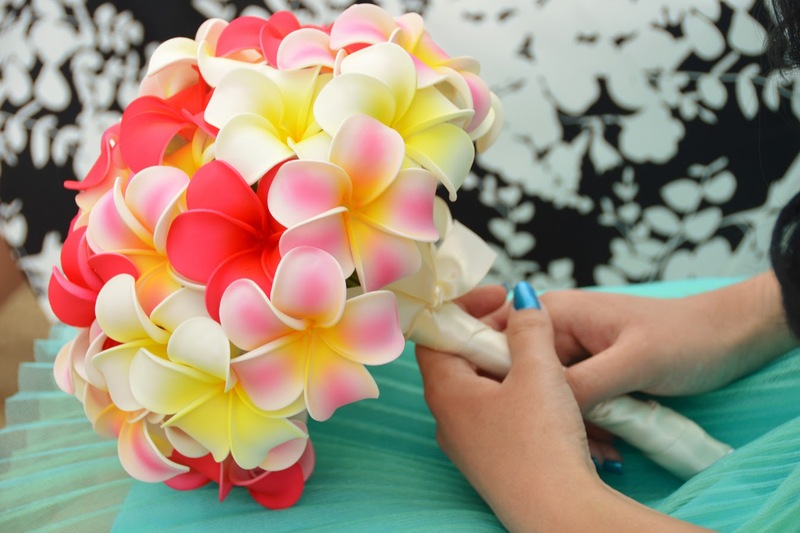 These are not real flowers, so you can take them home and keep your bouquet.